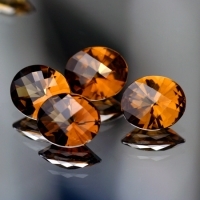 Cognac quartz exhibits colors that are that of cognac, Hence the name. 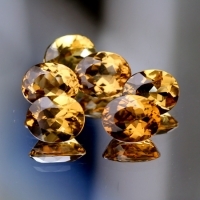 These gems have earth tone hues of green, gold, brown, yellow and orange depending on the light source when viewed. Truly unique and a good choice for all types of jewelry. Fine grade gemstones from Brazil.